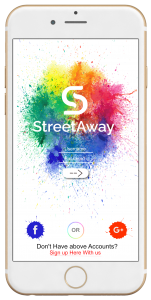 It’s the news we’ve all been waiting for … The StreetAway app is finally ready to launch this September! We couldn’t be more excited to unveil StreetAway to our favourite city! First of all, we would like to thank all of you lovely business owners, managers, waiters and waitresses for giving us the opportunity to discuss our app, myself and Zoe have travelled throughout the city for the past month or so and we couldn’t be happier with the feedback we have received, not to mention the free coffees to keep us going … trust me when I say we NEEDED them! It’s been a pleasure speaking with all of you but this is only the beginning, we hope to work with each and every one of you in the very near future and together we can take Newcastle by storm! So, many thanks to those of you who sat with us and showed some interest we can’t wait to prove to you that you made the right decision in working with StreetAway. So, you’re probably wondering, what happens now? What does the launch involve? Well, we have been working non-stop trying to make StreetAway the most advanced, yet simplistic tool to use for both customer and business. Not only that, our persistence in making the debut of this app one to remember has been a top priority … we want to come in with a bang and show Newcastle why we believe we are the next biggest platform for users to ‘find places they like at prices they love. Instantly. We believe that we are unique to anything that has been done before, yet our philosophy couldn’t be simpler. We have been working closely with NE1 Get in to Newcastle, as well as, Northumbria University in order to promote our business within the city. We are due to attend fresher’s week in which we will have some cool free give-aways that we know will go down well with all you students, so make sure you pop down and see us where we’ll have some fun games for you to play where you could be in with a chance to win a free Apple TV device and vouchers for our local Spot White Pool and Snooker Hall. Also we hope to have our brand plastered across the city on billboards, posters etc. So make sure to keep an eye out for our trademark S. We will also be having a social media competition in which entrants can again win some cool prizes. 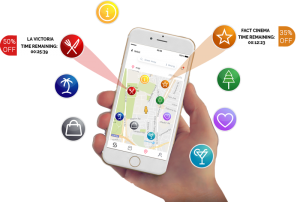 Of course, we operate using a location based-system that shows users nearby venues, activities and events, specifically within a 2-mile radius. It is updated in real-time providing you with exclusive access to discounts and offers at all of the restaurants, bars and cafes you love. This will also help to promote local businesses that work hard to provide excellent services for the local community – Read our most recent blog in regards to our night in Aveika. We are fully integrated with all of your favourite services within the city, plus your favourite social media websites. You will be capable of redeeming your offer, paying for it, leaving a review and sharing your experience on social media within this one app. It is all taken care of from within StreetAway. Businesses will also be able to benefit from this, we will provide a new innovative marketing platform that promotes business digitally and for free. The offers simply give users good value for money, as our interaction with businesses will be live and exclusive to our app, providing a new way of taking advantage of promotions. Newcastle Restaurant week offers customers the chance to dine at some of Newcastle’s top restaurants for a much cheaper price … why not let StreetAway offer you similar deals to this all year round. And the fact that we are completely digital not only means and end to paper receipts it ensures we use an environmentally friendly, ecological process for businesses and customers to use … not to mention the convenience aspect of clicking a few buttons.